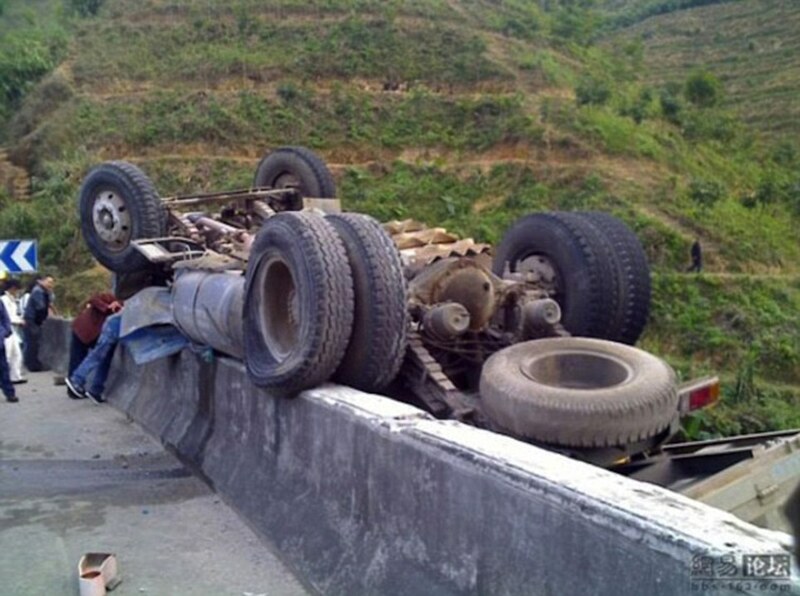 The driver of this lorry had a miraculous escape after his vehicle was left suspended over a 200ft drop... by a single punctured tyre. The man lost control of his vehicle along a major road, clipped the concrete wall of a bridge and the heavy lorry rolled over as it slid perilously close to the edge. A passerby caught the moment on camera as the momentum of the lorry carried it into the barrier and flipped it over the top. 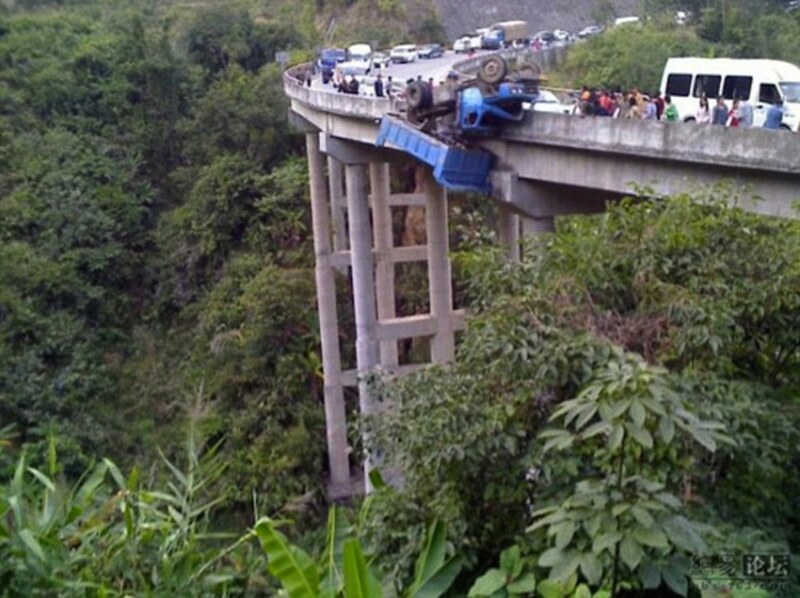 But thanks to the punctured tyre and pieces of torn sheet metal on the ground near the diesel tank, the lorry was somehow pinned in place suspended upside down over the deep gorge below. Rescuers tentatively approached the vehicle and managed to pull the driver to safety, despite the fact the tyre could have given way at any time. The barriers on the bridge are clearly too low to be an effective safety measure for lorries and it is unknown if the vehicle was recovered, or allowed to fall into the gorge.